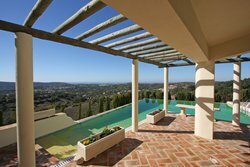 Magnificent 2 storey stunning 4 bedroom villa perfectly situated in the countryside, between Loule and Sao Bras with wonderful panoramic views over the sea and countryside with amazing infinity pool with Jacuzzi and double garage. This fabulous property has bright and airy accommodation comprising inviting hallway, large modern country kitchen, lounge and dining areas, 3 bathrooms, utility room, study and ample storage. 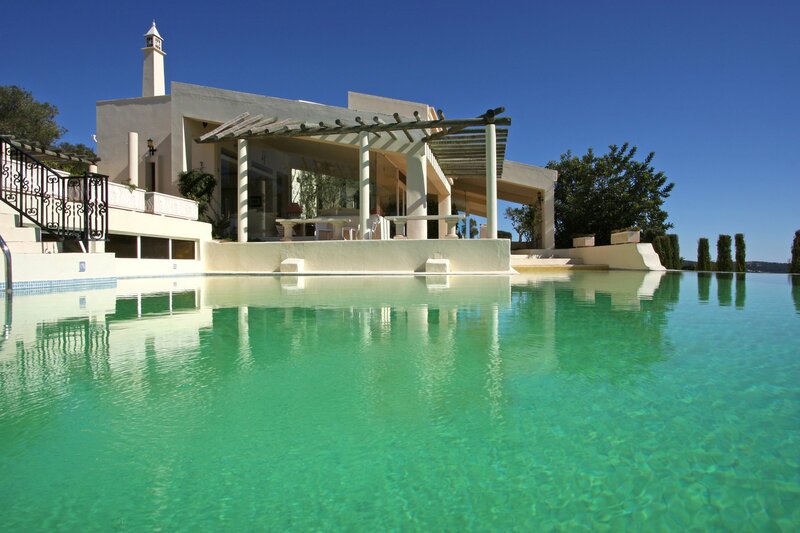 This superb villa has many unique features including air conditioning, feature glass walls, built in barbecue, atrium garden, wood-burning fire and automatic gates. 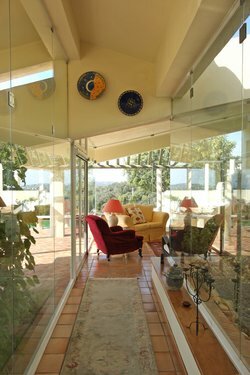 There are partly covered terraces overlooking the countryside ideal for al fresco living, a roof terrace, full size artificial grass tennis court and mature gardens. Sao Bras de Alportel is a mix of old and new, with typical, low white Algarvean houses amongst the slightly dusty, grander merchant houses from its wealthy past. The area near the church is the older part of town and typically Algarvean with narrow, cobbled streets criss-crossing each other and small shops and cafes in between the houses. As you move further away from the church the streets widen and modern apartments take the place of the older white washed houses. There are lots of shops and supermarkets, banks, restaurants, cafes - everything you need in fact! This property is perfect in every way being 20 minutes from the airport and close to all amenities.